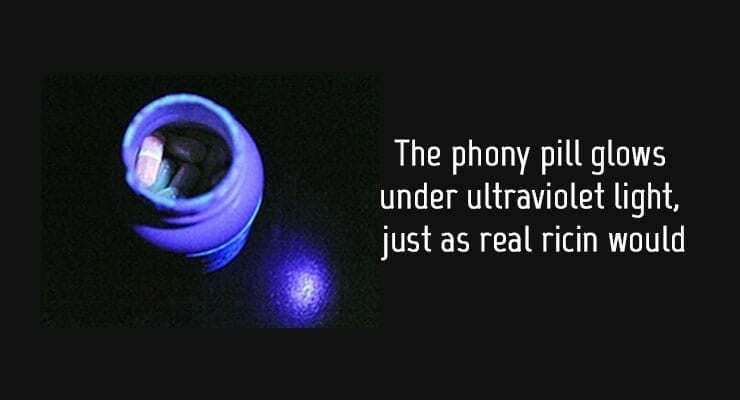 The phony pill sent by FBI agents to Le as part of the undercover dark web sting. A 22 year old Chinese national Cheng Le, living in New York City, was sentenced last month to 16 years in prison for attempting to acquire ricin, postal fraud, and identity theft in relation to a terrorism offense. Le was convicted on August 27, 2015, following a four-day jury trial for attempting to order ricin through the so-called “dark web”. Ricin is a highly potent and potentially fatal toxin with no known antidote. And the dark web includes a number of extensive, sophisticated, and widely used online criminal marketplaces that allow participants to buy and sell all kinds of illegal and often dangerous items, including drugs, firearms, and hazardous materials, like ricin. Le’s conviction marked the that a defendant had been convicted at trial in the Southern District of New York of attempting to possess a biological toxin for use as a weapon or of aggravated identity theft during and in relation to a terrorism offense. Following that initial contact, Le exchanged a series of messages with the OCE concerning his efforts to purchase ricin. During these messages, Le confirmed his understanding of the lethal nature of ricin, revealed his intent to resell the ricin to at least one secondary buyer, proposed that the OCE conceal the ricin in a single pill in an otherwise ordinary bottle of pills, and indicated a desire to obtain more ricin in the future. On December 18, 2014, Le directed the OCE to send a quantity of ricin addressed to the name of an individual whose stolen identity Le had assumed at a particular postal box in Manhattan. On December 22, 2014, the FBI prepared a mock shipment of ricin that was consistent with Le’s request to the OCE. 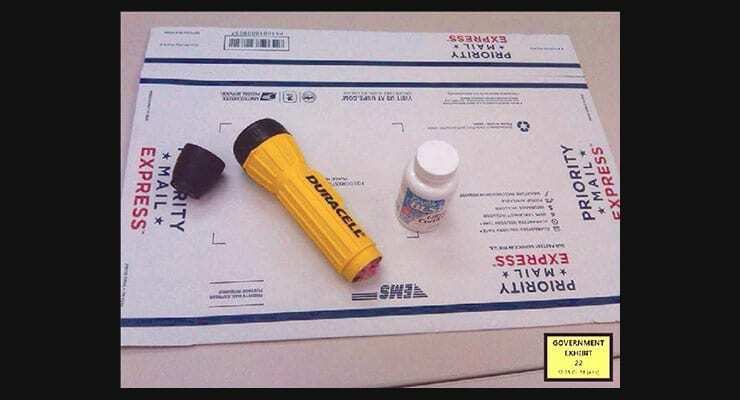 The Sham Shipment included a fake “ricin” tablet concealed in a pill bottle, and a quantity of loose fake “ricin” powder. The next day, the Sham Shipment was delivered to the Postal Box. Le, wearing latex gloves, retrieved the Sham Shipment, opened it, and took the contents to his apartment. Le was convicted after trial of one count of attempting to possess a biological toxin for use as a weapon, one count of using a fictitious name in furtherance of unlawful business involving the mail, and one count of aggravated identity theft during and in relation to a terrorism offense. In addition to the prison term, Le was sentenced to five years of supervised release.